At this point it is no secret that we absolutely adore horror movies. The release of Ouija: Origin of Evil is soon upon us! In fact, it comes out in theaters next week! 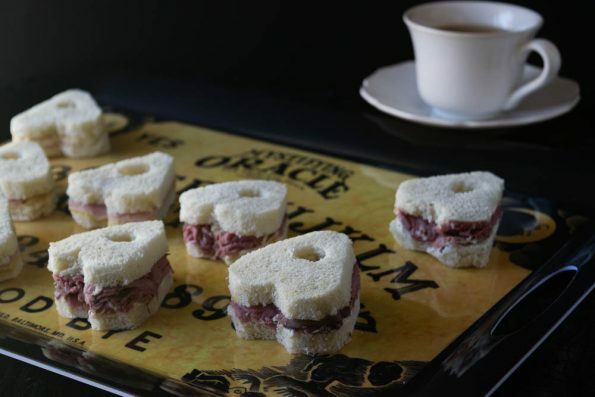 To honor its release, we wanted to do a Ouija themed recipe. This recipe can also be used for Halloween parties. The first spirit boards have been noted in history since 1100 AD. These first mentions were from the Song Dynasty period in China. The use of spirit boards is a worldwide thing. They became known as Ouija boards in 1901. They became extremely popular in the late 1800s and early 1900s. Due to the spike in popularity during this period of time, we wanted to do a recipe that would reflect that time period, tea sandwiches. Tea leaves were another form of communication with “the other side”. In addition to our recipe, our friends at Fingerpaint Marketing have so graciously provided us with tickets to a sneak peek of Ouijia: Origin of Evil! The screening will be held on Tuesday, October 18th at Harkins Tempe Marketplace. This means unless you plan to fly in, you must be an Arizona resident. The screening is first come first serve and it is suggested that you be there at 6:15 to guarantee your seat. You can enter below. Good luck! We made 4 full Ham and Cheese tea sandwiches and 3 full Roast Beef tea sandwiches. You can increase ingredients to switch it up or add more bread to make even numbers. Construct all of your sandwiches first. Cut based on template below. 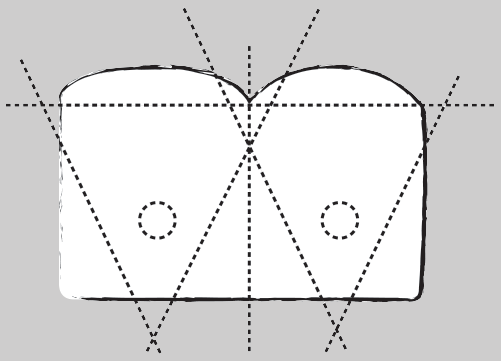 Carefully cut the planchette hole out of the top layer of bread. You can go all the way through but we found this to be difficult and far more time consuming. We found our Ouija Board serving tray at Spirit Halloween. However you could use a Ouija game board as well.